In this video we talk about the foods I tend to buy on a weekly basis at Whole Foods. My weekly/semi-weekly haul typically consists of the following things that we discuss in more detail in the video. -Grass-Fed Pasture Raised Beef -Ground Pork -Ground Turkey -Organic Bok Choy -Cabbage -Broccoli/Cauliflower -Organic Kale -Plantain Chips -Four Potato Hash-browns -Organic Grapes -Your Whole Foods, in your part of the country, may differ. -There's a whole bunch of other healthy stuff you can get at Whole Foods that's healthy that I just happen not to get on a regular basis ___________________________________________________________________________ Today, we are gonna be talking about my weekly Wholefoods haul. So, what I typically get from Wholefoods on a weekly basis. So, you might be seeing this at a later date, but we are filming this right around Halloween 2018 and we got Jager over there in a Superman cape, Rocket chillin' with the Captain America helmet and the Captain America shield, and then Remmy down there with the Batman cape. Got our superheroes in tow. Alright guys, so let's talk about what I typically get at Wholefoods on a weekly basis. So, again, if you watched any of my other videos or seen any of my other talks, I always talk about composing a healthy meal in terms of protein, veggies, and typically some healthy fat, which we talked about as well in the Costco video, fruits, and then maybe some finishers. So, that's kind of how I organized things today. So, let's start off by talking about quality protein. So, I think when you talk about quality protein, you know, it's important to mention things like, you know, is it grass-fed, is it pasture raised, is it non-GMO, and this is one of the places where I think Wholefoods really excels. Now, whenever I start working with people, I always tell them, "Look, you don't need "to worry about getting grass-fed "and organic and all this stuff to start," but eventually, yeah, from a health perspective, environmental perspective, ethical perspective, it does matter and it is important, and I think Wholefoods is pretty much better than almost anyone in terms of how they rank things and the type of meat that they sell. So, typically, each week, I'll get a couple pounds of some organic, grass-fed Nature's Rancher beef. If you're curious about what the holy grail of beef would look like, that would be it. 100% grass-fed, organic, pasture raised, all the rest of it. Jager really likes the ground beef and the ground pork. Ground pork is non-GMO. Harder around here to get pasture raised stuff, but this is definitely a step above like what you would typically get at most grocery stores, like, a non-GMO pork. Just for the record, when it comes to beef, you know, cows are naturally fed grass, but with pigs and poultry, you know, they're typically omnivores, so what you're looking for is the term pasture raised. That's what you're looking for if you can get it. I'll typically get a couple organic, bone-in, skin-on chicken breasts, and what I'll do with those is put a little bit of sea salt on them, and then roast them in the oven at 425 for a half an hour and they come out perfect. Organic ground dark turkey, that's typically the turkey that I like, and then I'll get some organic, pasture raised eggs as well. So, you know, especially from a cost-saving perspective, you know, people always think of Wholefoods as whole paycheck, but that's not necessarily true, honestly, and if you compare a lot of their stuff to other places, it's not actually that much of a difference, and the other thing to say is, you know, when it comes to food quality, it's important to get the best quality stuff you can get and if you're gonna be paying more for a little bit higher quality, getting things like ground meats or chuck roast or, you know, a whole chicken or things like that, that's a good way to save money. So, you'll notice that I don't have much in the way of, like, boneless, skinless chicken breast or in pork chops and steak because that tends to get a bit more expensive, and these are kinda the utilitarian, day-to-day meats that I'll get and I'll try to get the higher quality, but get the more usable stuff that you can use on a daily basis. Okay, so that's it for protein. Let's talk a little bit about healthy starches. So, when people think of carbs, they almost always think pasta, breads, cereal, cookies, crackers, all this other stuff, but remember, all plants are carbohydrates in one way or another. That goes for vegetables, fruits, and these more starchy carbohydrates. So, there's nothing wrong with carbs per se, you just wanna get the right kind. So, good starchy carbs to have on a regular basis, especially if you're working out, would be things like white potatoes, these are sweet potatoes. White potatoes, it is important to try to get organic, so I'll specifically go to Wholefoods to get the russets, reds, or yellows, which are all white potatoes, organic. These are the Hannah yams that they sell at, or, Hannah sweet potatoes, excuse me, that they sell at Wholefoods. One of the things I like about Wholefoods is that they've got a bunch of different sweet potatoes. Like, if you go to most grocery stores, they've got a whole bunch of different sweet potatoes, or, excuse me, they typically have one sweet potato, but they don't have a variety, so at Wholefoods, they've got the Japanese sweet potato, the purple one, the Hannah, a bunch of different ones. Now, what do you do if you're in a time crunch? So, these Dr. Praeger's Four Potato Hash Browns are really pretty good when it comes to ingredients. They're basically just white potatoes, a little bit of canola oil, which isn't, like, the greatest thing in the world, but it's a teeny bit and if you're having it occasionally, it's not that huge a deal, and some spices, and very low on sugar. So, this is a really good, kinda quick option that you could throw in the oven in the morning for breakfast. Plantain chips, I like these a little bit too much. These are really good. They've got plantains, palm oil, sea salt, really good option, so, you know, if you're looking for a snack on the go, this is gonna be a really good thing to get. Jager's trying to see if he can get a little, you want some potato action? Is that what you're looking for? Let me fix your cape. Let me fix your superhero. Okay, there we go, alright pup. Okay, so let's talk about vegetables. So, you know, by this point, when you guys are watching this, the Costco video should've already been released, and in that video, I talk a lot about other vegetables that I get there, but typically, at Wholefoods, I'll get certain vegetables that, you know, typically, it's not that I can only exclusively get them there, but that I like to get there. So, organic kale, I'll get a couple bunches of these a week, and sometimes, it'll be the organic green stuff, sometimes it'll be the organic red stuff. I'll try to switch it up to get good variety. Especially with your leafy greens, it's gonna be really important to get them organic, as opposed to conventional, so that's one of the reasons I get them there. Broccoli, sometimes I'll do broccoli, sometimes I'll do cauliflower. I'll typically throw these on a sheet pan with these, put some oil, salt, and roast them, and that's kind of my dinner vegetables. Cabbage. So, I got a red one this week, I'll switch back and forth between red and green, again, just to get some good variety in there. With the cruciferous veggies like the cabbage and the broccoli and the cauliflower, it doesn't matter as much to get them organic, but you certainly can. And then, bok choy. So, this is one that I didn't really know how to cook, but again, that typical roasting method where I just slice them up, throw them on a sheet pan, oil, salt, and high heat, and they come out actually really good. And again, I try to buy those organic. So, that's it for vegetables. Let's talk a little bit about fruits. So again, in the Costco video, I talked about how I'll typically get organic blueberries and apples from Costco, sometimes I'll get them from Wholefoods, just depending on what Costco's selling in a given week. Organic grapes, I like to get these a lot. Kinda going out of season here at this point, but these are really good. Again, with any fruit that you eat the skin of, you definitely wanna try to get it organic. Okay, and then lastly, just a couple little treats that I'll occasionally get from Wholefoods. Let's start with the Alter Eco Blackout Dark Chocolate. This is probably my favorite brand of chocolate, it's an 85%. They have a really good ingredient list where there's no, you know, crap on the inside, it's just organic cacao beans, cacao butter, cane sugar, which it's gonna have if it's not 100% cacao, and vanilla beans, and it tastes very good. And then, these guys, Better Bites Chocolate Chip Cookie Do Bites, these things are like crack. They are chocolate-enrobed cookie dough, as you can see there, enrobed. That's probably why they cost $9 for six. If you're a Prime member, they recently had these on sale for buy-one-get-one-free, so that brings up a really good point, which is if you are worried about the cost of Wholefoods or the cost of some other place, you know, typically, all these places have sales during the year, so when they have sales for things that, you know, are freezable, like meat or, you know, chocolate or, to a certain extent, you know, things like Dr. Praeger's, stock up and that's gonna be a really good way to save money. So, probably in the future, I'm gonna do a video about all the other stuff that you can get at Wholefoods that I don't happen to buy, but for right now, that just gives you a sense of the typical stuff that I buy on a weekly basis. Alright guys, thanks so much for tuning in. We'll see you next time. In this video we have a throwback to the very first Amy's Treat Corner we did three years ago. In the video Amy explains how to make a Sweet Potato Pumpkin Pie recipe for Thanksgiving. If you're still looking for a great holiday side dish or dessert, this is definitely worht a try. In this video we talk with Coach Amy about her eating habits. Amy's story is unique for a number of reasons. -She's a mother of three. 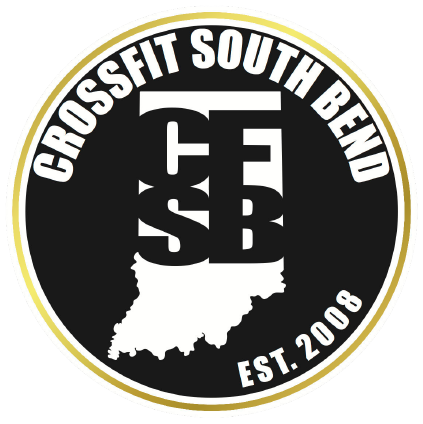 -She's the head coach for our CrossFit South Bend classes -She's an amazing athlete -She somehow manages to have all the energy she does on 5-6 hrs a night of sleep -She has a bit of a sweet tooth ;) In this video she tells us: -What she ate growing up -Her transition to healthy eating -How she eats currently -Her current favorite off-plan foods -Her favorite off-plan food holidays -What she's learned over the years in terms of eating healthy There are a lot of great insights from Amy in the video so be sure to check it out! ___________________________________________________________________ Robby: Hi guys. Robby here from Cross Fit South Bend. Today I'm here with Coach Amy and we are gonna be doing a video talking about what Amy eats. Amy: Oh, what Amy eats. Cookies, here. Dip. Robby: Yeah. We just did Amy's [tree corn] so we got lots of sugar laden goods, so we like to do these videos just to give you guys a sense of what each coach eats and how they fit healthy eating in to their lives. Amy: All right. Robby: So Amy, tell us first how did you eat growing up? Like what was eating like with your family growing up? Amy: Boy, let's see. Well, I loved cereal. Honestly, I'm a cereal junky, and today, I still am. I would eat it breakfast, lunch, and dinner. Honestly. Snack in between. I love cereal. So my mom never restricted me, really. If I got home, I was involved in tap, jazz, ballet, even active really all since I was a little girl. Cheerleading, different things. Gymnastics. And I think if I came home, if I ate something, it was cereal, honestly. Robby: Yeah. Amy: Just a little bit. Chocolate milk. Not white milk. Only if it was in the cereal. I have to tell you, my favorite cereal, one of them was King Vitamin. I really don't know about it. And the other one was called Rainbow Brite. So if anybody knows or remembers the doll Rainbow Brite, she had a cereal back in the late 70s, early 80s, maybe early 80s, I think, but it was really good. Yeah. Fruity Pebbles, still up there. Robby: They are pretty delicious. They're pretty awesome. Amy: Yeah. I like the sugary cereals. I do, but honestly, I like not so sugary stuff too. It just depends. Robby: Yeah. That's pretty good. Amy: I am up on sugar. Robby: So we'll talk in just a second about what you're eating now, but tell us about when you first starting thinking about eating healthy to now. Just kind of that journey form when you even first even thought of the concept of eating healthy to now. How did that progression go? Amy: How did that journey progression go? Robby: Yeah. Amy: Well, I'm the oldest of our coaches so I might take a little more time. But no, honestly, like I said, from early on, even though I might have had some unhealthy treats, my mom would really pack a good lunch. I mean, we always have fruit or something. And yes, my mom, I love my mom, ever since I was a little girl, she packed my lunch, put a note in it, even in high school. She'd, you know, those [April's], and she'd do barbecue ham sandwich. She'd actually fry it up in the morning. My mom got up at 4:00 in the morning, made my brother's and I lunch, so we'd have a barbecue ham sandwich usually, could be peanut butter and jelly, but it was usually a turkey or a lunch meat, something like that. Chips, or pretzels, are my go to. I like pretzels a lot. Yogurt. I liked yogurt. A Little Debbie snack, Zebra Cakes. They don't make them as good as they used to, but Zebra Cakes are really good. Fruit roll ups. All natural fruit roll ups actually, back in the day, at a store called [Price Chop] where they had these big circle, and they were really good. Natural fruit roll ups. So has much as I tried to eat, lunches, that's kind of what it was. Dinners, eating healthy, pretty much growing up. Tacos, spaghetti, I think your normal foods that parents would make for kids. Pizza, every once in a while. Macaroni and cheese, did not like Kraft. I liked Velveeta. My mom would make a Velveeta macaroni and cheese. The other things, I think, then moving on towards college. Any college food, try to eat as good as you can in college. Robby: Right. Amy: Lots of salad bars, chicken nuggets. I mean, I didn't starve myself. Let's say that. Robby: Yeah. Amy: But I mean, I never was ... I would say fortunately, I never was a person that had to deal with being overweight or obese. I think the time I felt like that, is I entered into being a mom. And then going into marriage and being a mom and I had always told myself I never wanted to be a heavy wife, a heavy mom, and so whether it started way back when, I really focused on trying to eat good foods. So you know, just a good protein, a good carb source, and fats. But didn't know those different macros. Robby: Right. Amy: I had no clue about macros until I came to Cross Fit South Bend and really started learning what really good foods where. I had wished that with my children that I feed them avocados. My mom didn't give me avocados so I didn't eat them. I never liked peas. And never liked mushrooms and eggs. I love you all, but if you have me over, I will tell you if you put mushrooms, eggs, or peas in front of me, I will not eat them. So I try to be very respectful. I do love to cook love to cook for myself too. My mom was very busy. She worked all the time. So my dad worked. My bother and I, actually, we did a lot of cooking and baking and my brother is an excellent cook out there today, and baker as well, and I probably ... You know, one of the things I love doing, [treat corner]. I love experimenting with food. And so when I came to Cross Fit and just the natural healthier food options, just realizing how good avocados were for you, for that natural fat. Different ways preparing chicken and pork and hamburger and ground turkey. That was the thing I really put in our main stay diet, I think, before I found the gym. But adding ground turkey to hamburger. You know, if you don't like ground turkey flavor taste. Robby: Right. Amy: Limiting bacon, but I do love my bacon still. I'm trying to, I mean, it's kind of ... I changed a lot. I wanna say I changed a lot but I maybe opened my palette more to some other sources of good eating. Robby: Yeah. It sounds like you've always had that foundation of home cooking and knowing how to cook and liking to cook and stuff like that, so that's a big part of things. Amy: Yes. You're right. And my mom, she actually didn't like to cook, but when she did, she cooked well. Robby: Yeah. Amy: And I just absolutely loved it. Spaghetti, my mom, my dad made this recipe called [Bosta] and it was one of our favorites. Italian sausage, and meatballs, and make them from scratch with noodles. Fish, love fish, and fried potatoes and onions. During the summer, couldn't wait to go fishing at the lake. Bass, blue gill, perch, walleye, all those good foods too. And yeah, I do love the foundation of just being able to throw something together and cook it myself. I really like. Robby: Yeah. So tell us about what you're eating now. Amy: All right. So I kind of joke that I needed to have this big plate from Elf with the noodles and cocoa pebbles. You guys, I'll be real. I mean, my downfall is sugar, and if you put a cinnamon roll in front of me versus a steak, I will take that cinnamon roll any day over a steak. But I will show you what I do. I meal prep on Sundays. That's when I try to do it, and especially when I wanted to be more of a competitive athlete, I started dividing out those macros, the protein, carbs, and fat. I go through spurts just like anybody else. I'm on the bandwagon. I'll do it, and then other days I'm like forget it. I don't wanna do it for a while, because you can get burned out. For me, I can get burned out. So yes, here's my refrigerator. It's kind of barren a little bit, but I got the staples of different things, but I will putt out some of my foods here. How about I pull them out and Robby, you can take off the lids and show people. Usually, take ... oh, and there's [Oakley]. Yup, hi Oakley. She knows I'm getting food out. That's my puppy. If you've seen here at the gym you know she's gotten very big here. A couple more. Like I said, I do meal prep. All right. These. I find I like to be organized too. I keep things kind of organized. Thanks Robby. Robby: Yeah. Amy: All right. So usually you can ask my family what I'm doing on Sunday. After church, usually grocery store shopping. I come home and I'll be cooking for three, four hours. That's not painstaking to me, I will admit, because I love to cook and I love to try new things. And when I'm in a rush, that's the hard time. So when I'm in a rush, I will get two or three crock pots out here at one time. Today, this morning, before I left for the gym to do a training session, I put pork loin in a big crock pot here. I put my sweet potatoes in another crock pot. So I had two crock pots going and then when I got home ... actually, my wonderful husband put out some chicken I had and he grilled it out there, so we had some grilled chicken for lunch. And then I use the leftovers for things. And then I was at the stove making some ground hamburger and you can add the turkey with that, and that's about three pounds there. I do cook it in bulk so have enough at least through Wednesday or Thursday. And then my veggies. I get our carbs in here. Veggies, I will take a big baking sheet and then just cut up some vegetables or anything I want. Broccoli. I've done green beans. I put them on a pan and then roast them there in the oven. That's how I like to do my vegetables. And then I'll do a big thing of ... Oakley. Sorry. Dog. She's a ... Andy. So and then I had a big thing of rice in my rice cooker here. So one of the meals, now, I'll just kind of put this all together. So I like to do a hamburger over here and then add my peppers and onions, is what I did there, and rice. And then I'll put this with lettuce into a big taco salad. Add avocados to it for good fat. I also like sour cream and salsa. So Mexican food is my favorite, just so you know. Robby: Yeah. Amy: So that's a very good staple. Pork loin and sweet potatoes. I just grab a big spring mix of salad, cucumbers, and then I'll take that to the gym. I'll pack this all up. That's why it's packing this way, because I just bring to the gym, because I'm here most of the time. Robby: Yeah. Amy: And then just cut it up and make myself a big salad, so I got my protein, carbs, and a good salad. Add olive oil. I put real butter in it so there is a good fat in there for that already. And I put these, I drench in olive oil, so that's another good fat. Robby: Okay. Amy: And then, for the grilled chicken, I took for my veggie those zucchini noodles or squash noodles and then added an organic spaghetti sauce. Topped it with my grilled chicken. And I like Parmesan cheese a lot so I just did a little sprinkle of Parmesan cheese. And there's some great meals throughout the week already for me here. And then I've got grilled chicken and whatever I want. Chicken salad, if I wanna make that, with some nuts and different things like that. Robby: It all looks really delicious. It's giving me some meal ideas. Yeah. Amy: Oh good. Robby: It's fantastic. Amy: For breakfast, that'd probably be like Kodiak cakes sometimes, or an RX bar, honestly, at the gym, because coaching early in the morning and getting up around 4:15. I'm pretty hungry, ready for lunch around 8:00 already. Robby: Yeah. So one of the things we like to do in these videos, you know, with Andrew, we talked about the fact that he was a student, and with Chad, talked about the fact that he was a firefighter, and Carl, the fact that he was a rugby coach and rugby player, so you're a mom. 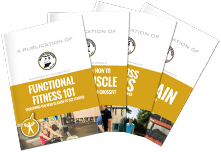 You have a full-time job while you were training, and now you're a full-time trainer at the gym. What are some tips or tricks or things you've learned while doing all those different things about how to get healthy food in? Amy: That is a good with. I always say, and I learned this being at the gym, if I can do meal prepping to get healthy food in, if I can take one day, even if you start out at you're gonna give yourself one hour. And you know, cook bulk food. Then divide that up. That was definitely a trick or a tip. And then just dividing these containers. If you already have a meal divided up for you, how easy is that just to take it with you and there you go. If you have certain macros or something you're following, do one, two, three, four. Put it on your meals and there you go. But definitely the biggest thing for me is just meal prepping. Robby: Yeah. Amy: You have to if you have a busy schedule. Robby: Yeah. Amy: If you don't make it a priority, it'll never happen. Robby: Right. Amy: And then you get stressed and I've been there before. I'm like, hey, take out, and then we find out that we've done take out five days in a row. Robby: Right. Amy: And that's not what I wanna do. Robby: Right. Makes sense. Amy: So definitely meal prepping. Robby: So now the favorite part of all of these videos, but especially your video, let's talk about nutritional off-roading. So give me your top, I don't know, two to three, like oh my god, I don't care about nutrition. I don't care about healthy anymore. What are your top three completely off plan foods? Amy: Completely off plan food. All right. If anybody ... Robby: We can extend it to five to ten. We can put whatever you want in there. Amy: No, no, no. Okay. Well, like I said, I do love the cinnamon rolls so if anybody out there ha a good place you know of a ooey gooey cinnamon roll, I wanna know it. I don't like a lot of bread, but I am bound to make myself one. I do love cinnamon rolls. The other thing I love is bananas foster waffles. When [Peep] used to, when they were Little Peep, have the best one around that I've had. I usually will try them around different places. But that, I love bananas foster. Pretty much anything, I just love bananas foster. If you don't know what this is, bananas, with caramel. They caramelize the bananas in sugar with brown sugar and so the sugars all come out and you put it over ice cream. There's bananas fosters or waffles, different things like that. As far as, yeah, I used to love ice cream growing up. I still like ice cream a lot, but my grandfather did invent the bomb pop and so we had ice cream constantly because he worked for an ice cream plant and so I do love ice cream. I like fro yo a lot. Robby: Yeah. Amy: Kind of off-roading a little bit. But it definitely has to be a sweet for me. Any good baked, a good bakery, of a cookie, like these cookies Meg made here. Honestly, that's probably me. Definitely a sweet treat. Robby: Okay. And I guess the last thing is, you know, you talked a little bit about meal prepping before, but we always like to ask people, if you could go back in talk to yourself years ago and if you could to talk to someone in a similar situation, someone who's a mom or someone who's scared of Cross Fit or someone who's working a certain job, and they wanna start to get into this stuff. What advice do you have for that person to start to eat healthy? Amy: Well, if you're anything like me, and love sugar, I wish I would have known the affects different food had on you. Robby: Yeah. Amy: And maybe not taking, I'm not ... I tried doing the vitamin thing, to replace food, but that's still never gonna replace whole food. Robby: Right. Amy: Vitamins aren't. It truly is a supplement, you know. Robby: Right. Amy: And I wish I would have known more about cooking and like I said, the variety of foods you can eat and the healthy benefits from that. And taking away the sugar. Robby: Right. Amy: But I would have to say because that's my thing, and as you know, it's really hard to give up. Robby: Yeah. Amy: You know, Robby challenged me with this one time and anybody who has an addiction out there, it's hard, and sugar is in everything. Reading the labels more. Robby: Yeah. Amy: You taught me how to read the labels. You know, that first ingredient is what's in it the most, and I will pick up and read labels every time I go to the grocery store now. Just trying to ... The other good tip I think you've always said is if your great great grandparents didn't make it, grow it, kill it, whatever, you probably shouldn't be eating it either. And to me, that's a really good tip. And you know, besides my off-roading, I wanna try to stay to those whole foods, and I wish I would have known a little bit more about the benefits of different foods and what it can do for me. Robby: Awesome. Amy: Especially with my kids being little. I wish I would have made them eat avocados. Robby: Yeah. Amy: Because they're not bad. Honestly, they're wonderful, but my daughter ... I would have to say since coming to the gym and making foods, different things, than the normal staples a lot of people do, my kids are actually trying things and they actually like it, and so that's good. Robby: That's awesome. All right. Amy, well, thank you so much for showing us all this stuff today. It looks fantastic. Amy: Yeah. Robby: I might have to go home and try some of these. Try some of these meals. Amy: Yeah. Definitely. Robby: Guys, thanks so much for tuning in, and we'll see you next time.